Do you long for a simpler way of life? Simply want SPACE from neighbors!? Ever wanted to own your OWN piece of land? Love larger animals such as horses, cows, or sheep? How about raising chickens & having an expansive garden? This completely usable .95 acre property is located in the quite small town of Nipomo. Nipomo has been written up as one of the best places to live in the Wall Street Journal & multiple other sources. 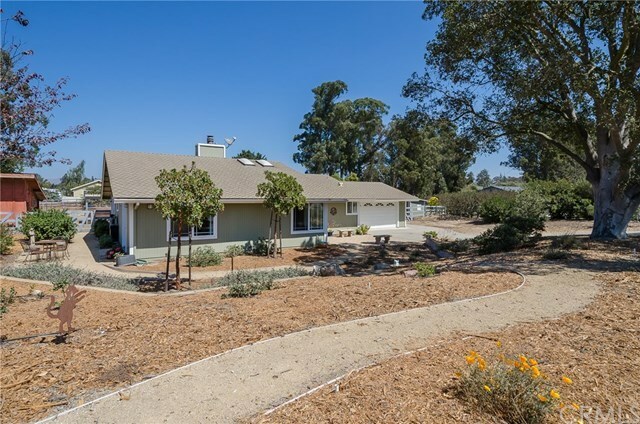 Known for its temperate climates, close location to the central coast, near wineries, award winning golf courses, hiking and biking, this property is nestled on a peaceful SHORT street. Enjoy small-town life yet close to amenities, entertainment, shopping, HWY 101 & HWY 1. Exceptionally cared for, & clean this inviting single story home offers excellent use of living space, ample sized rooms & excellent floor plan. Bonus detached office & outdoor workshop add additional flexibility in the uses for this property. Use your imagination to make it fit YOUR DREAMS!